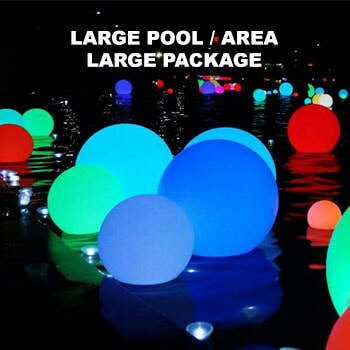 Stunning Light up Round Inflatables that have an Ultra Bright L.E.D light inside. Controlled by Remote Control, they last 8 hour or more when lit and stay inflated for days. 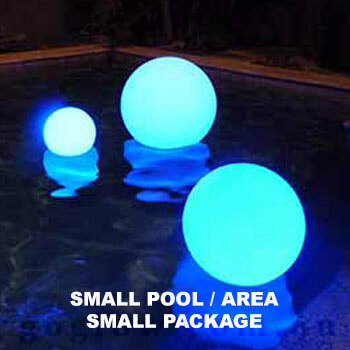 Made of a waterproof White Neoprene Nylon Material, they light up in every colour of the rainbow by remote control. We inflate them - install them and then return to take them down after the event. Rechargeable batteries included inside. 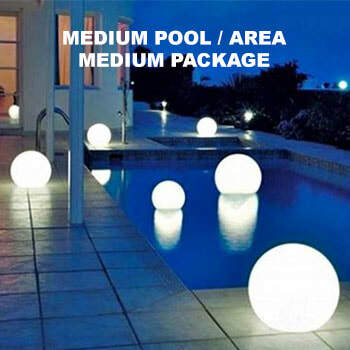 Float them on a pool - place them around a lawn or party area - indoors or outdoors - they are a stunning addition to any event big or small. 1 Small 75cm 2 x Medium 1 Metre. 2 Small 75cm 3 x Medium 1 Metre.